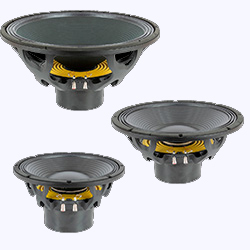 Joining the concept and design of our successful 18LEX1600Nd, this year three new high performance subwoofers will be launched, the new 12LEX1300Nd, 18LEX1000Nd y 15LEX1000Nd. 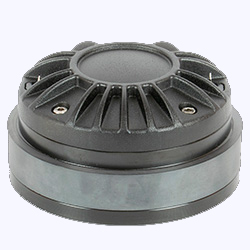 The new subs feature long excursion capabilities, very high output and very low distortion and have been designed for performing better in vented cabinets and loaded horn designs. All of them are top competitive weight/performance units thanks to an optimized F.E.A. motor structure which features the exclusive Maltcross® technology. The new 12LEX1300Nd has been designed with a 4” (100mm) coil, while the new 15LEX1000Nd and 18LEX1000Nd feature a new 3,5” (88mm) coil design. 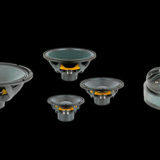 A new format woofer in 14” will be presented this year, joining the MC700Nd family of high efficiency woofers launched last year, the new 14MC700Nd, with optimized neodymium motor structure of very low weight and designed for applications of bass and mid / bass of very high efficiency, where a high sensitivity, good linearity, low distortion, and a high target of total SPL are required. This new format opens more options to the system designers allowing to work between the most conventional sizes of 12″ and 15″. Finally, for the high frequency Beyma introduces a new compression drivers of small size, with coil of 1.75 “(44.4 mm) and 1,4” (36 mm) throat. 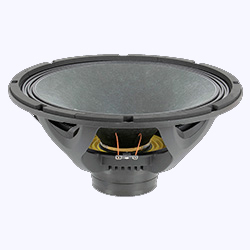 The new CD1114Fe is a driver that features the exclusive Beyma PM4 polymer, which provides very competitive performance in linearity, band pass and distortion as well as a very natural timbre that has been widely recognized by a large part of the professional audio market. Since 1969 Acustica Beyma designs and manufactures from its factory in Valencia a wide range of solutions in the loudspeakers field. 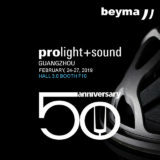 Beyma is one of the most reliable and notorious company in the audio sector and it is considered as one of the main worldwide firms.